Boilermakers from Local 85 show support for Betty Sutton at the Toledo, Ohio, annual Labor Day parade. From left, BM-ST Tim Timmons, Sutton, President Dan Brubaker, Paul McGrew and Boilermaker family member Josh Bailey. 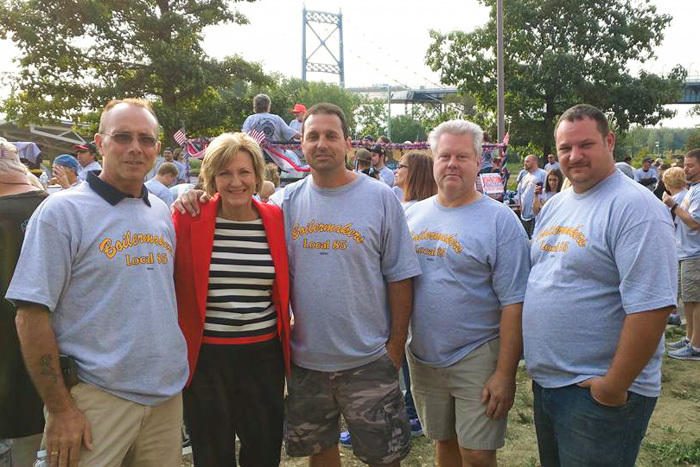 Boilermakers with Betty Sutton at Iron Workers Local 17 in Cleveland, Ohio, on August 30. From left, Shane Wassam, L-900; President Don Brown, Local 900; Sutton; George Wise, L-900; Dan Morrison, L-900; BM-ST Marty Mahon, L-744; Tom Hough, L-744; Ryan Monter, L-744; Dan Kevany, L-744. 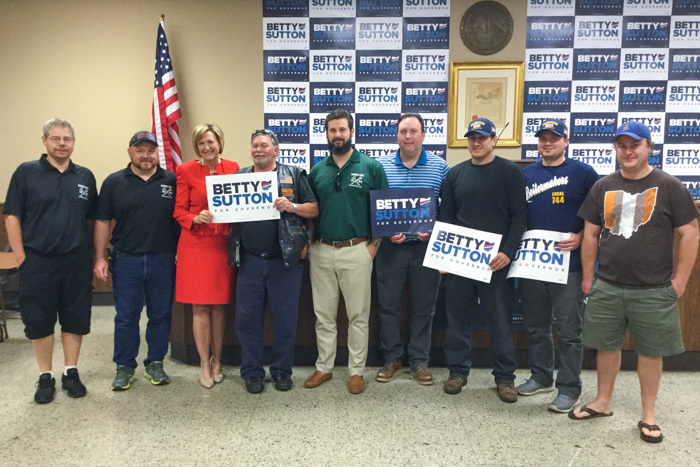 FROM A YOUNG age, Betty Sutton, running mate of Ohio gubernatorial candidate Richard Cordray, learned the value of hard work and the importance of the Labor Movement from her father, Leo Sutton, a former Local 900 (Barberton, Ohio) member. Her father’s ability to earn a living wage and provide for six children from his union job at Babcock & Wilcox drove Sutton’s lifetime passion to support working families. Throughout her career, starting with her first election to the Barberton City Council at age 29, Sutton has advocated for the rank-and-file workforce. 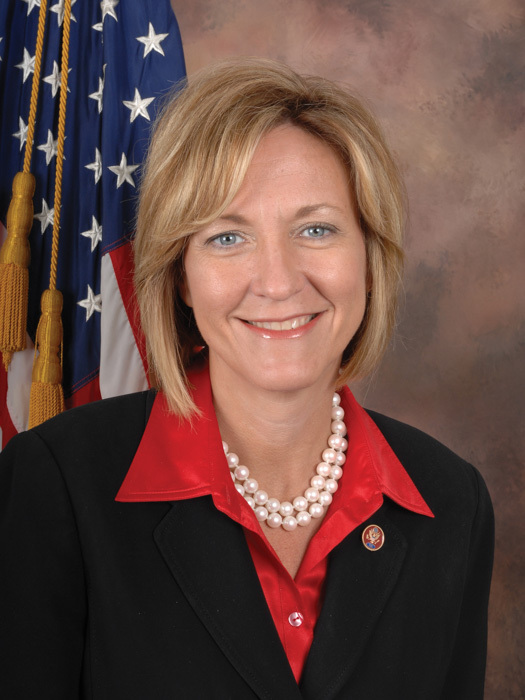 Sutton’s record of supporting working families while serving eight years in the state legislature and three terms in Congress garnered her Boilermaker endorsements from Ohio’s lodges in her solo bid for governor before she exited the race in January to join the Cordray campaign. Those endorsements have carried over to the Cordray/Sutton ticket. Cordray and Sutton plan to focus on the middle class by creating programs to ensure job growth and economic stability, placing workers and their interests as the cornerstone of their future administration. Donald Brown, President of L-900, said the local supports Sutton not only because Sutton’s father was a member of the local but because of what she’s accomplished throughout her political career. There are six candidates vying for the Democratic nomination for Ohio governor. The primary takes place May 8. For more information on the Cordray/Sutton campaign, visit www.cordrayforohio.com . Richard Cordray has served as Ohio state representative, Ohio solicitor general and attorney general. He recently resigned as the director of the Consumer Financial Protection Bureau, a U.S. government agency that ensures banks, lenders and other financial companies treat consumers fairly.